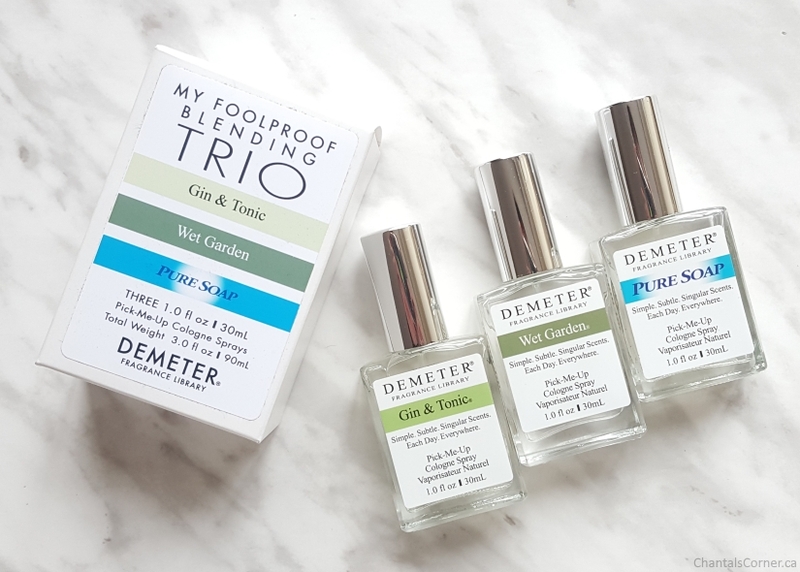 Come along as I experiment with scents from Demeter again! I received another Foolproof Blending Trio and I sure picked some interesting scents this time: Gin & Tonic, Wet Garden and Pure Soap. Yup, what a mix, lol! The reason I went with these scents is simple: I had pretty much all the other scents in the list we were provided. This is another wonderful opportunity made possible thanks to the Canadian Beauty Bloggers! Demeter even sent us an Artist Kit so we can design our own label for our new creation. How fun is that?! First let’s take a closer look at the scents I received. Gin & Tonic – The cocktail. End of the day slight intoxication: strong, sweet with a sweet-deep juniper finish and citrus twist. It really smells like a G&T! This is the lightest scent in my trio. Wet Garden – Our Wet Garden takes place at Easter, full of early spring flowers, including young shoots and buds, after a hard April rain. I get spring flowers from this one. It’s that first whiff you get when the flowers first bloom. Pure Soap – Demeter’s Pure Soap is inspired by the scent of skin freshly scrubbed with Ivory Soap… clean skin with just a faint trace remaining of pure soap smell… almost like a memory of the soap, rather than the soap itself. This one really smells like Ivory soap!!! But I find it more of a soft Ivory scent, kind of mixed with a bit of fabric softener, as opposed to that sharp crisp scent that the soap has. It smells clean and fresh and wonderful! 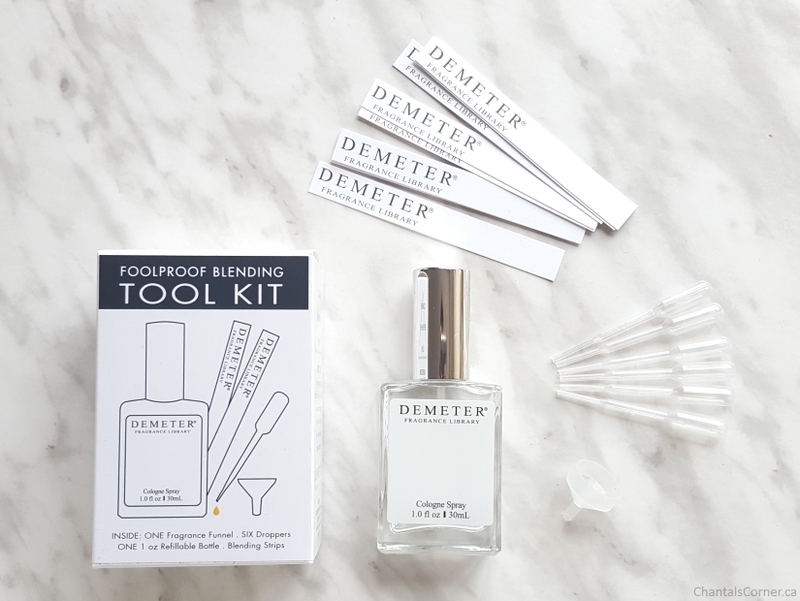 The Foolproof Blending Tool Kit comes with everything you need to mix your own fragrance. 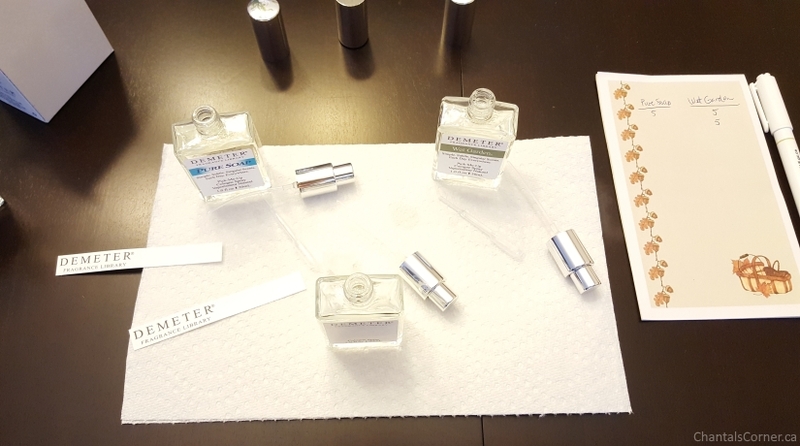 The very first thing I did was spray all three fragrances on one paper stick (two sprays each) to see how they all worked together. The scent was really nice, but was quite masculine because of Gin & Tonic. I then tried Pure Soap and Gin & Tonic together on a new strip to see what kind of men’s scent it would give, and I have to say that it was very nice, and I mean very nice! If I knew my husband would wear it that’s what I would have done for my custom scent, but my husband doesn’t really wear cologne so it would’ve probably sat there for a long time. So I started blending Pure Soap and Wet Garden directly in the bottle since I knew those were the scents I was going to use. I experimented with the quantities and took notes so I could remember what I did. 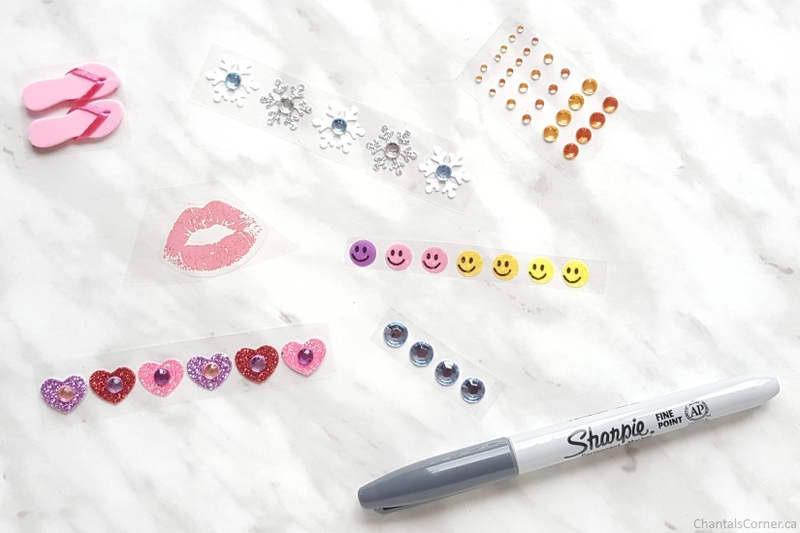 Now it’s time to design my label with all the fun stickers that were included! 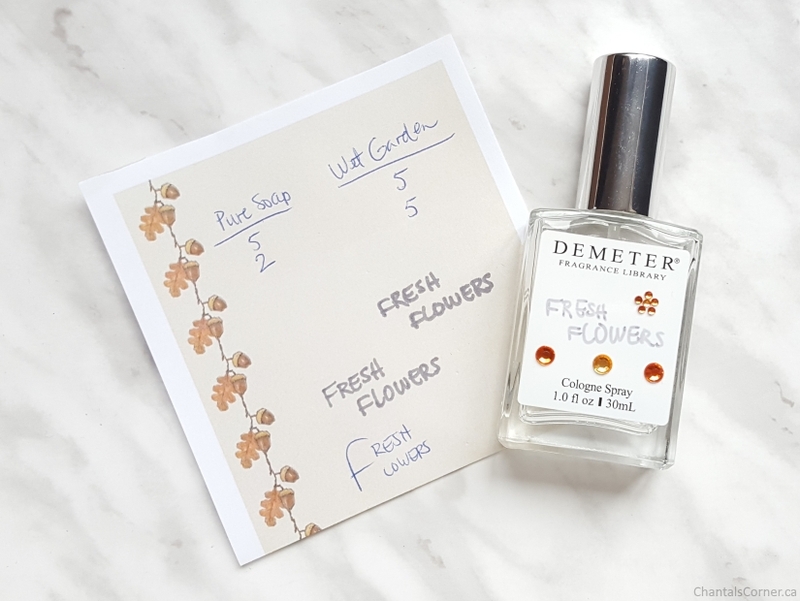 I ended up calling my custom scent Fresh Flowers! Fresh, not in the sense of freshly picked, but in the sense of clean and crisp (from Pure Soap). Since I did not have any flower stickers I improvised with what I had. Those labels are quite slippery to write on. I had practiced my writing on paper before doing it on the bottle to make sure I liked what I was doing, and the Sharpie was slip’n’sliding all over the place, lol! And there is my mix, 7 parts Pure Soap and 10 parts Wet Garden. 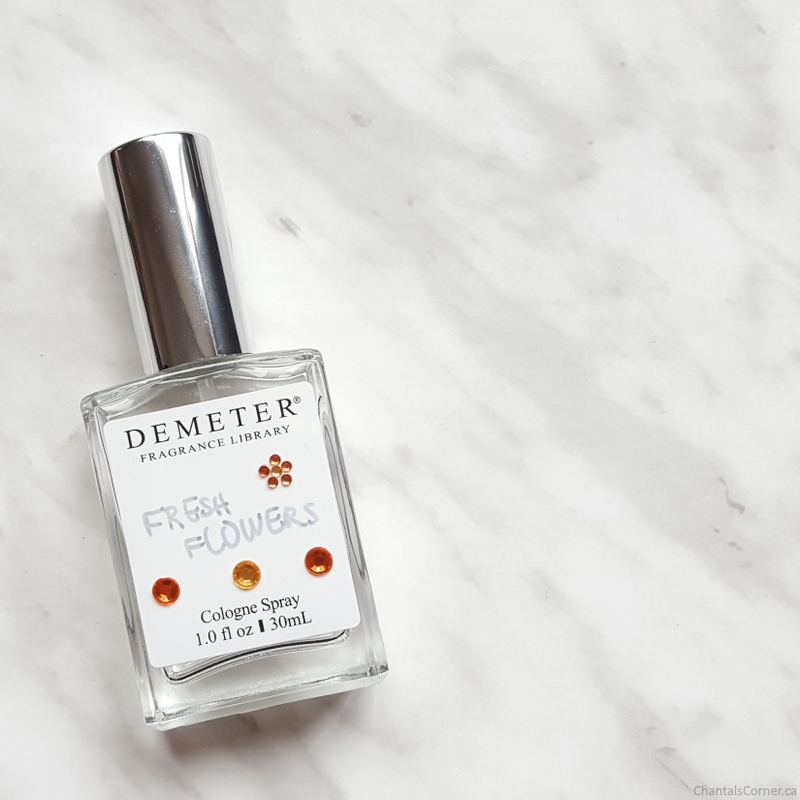 Mixing your own fragrance is so much fun and Demeter makes it so easy. If you’re not sure what scents to mix together they already have a variety of Foolproof Blending Trios ($45 USD) available. 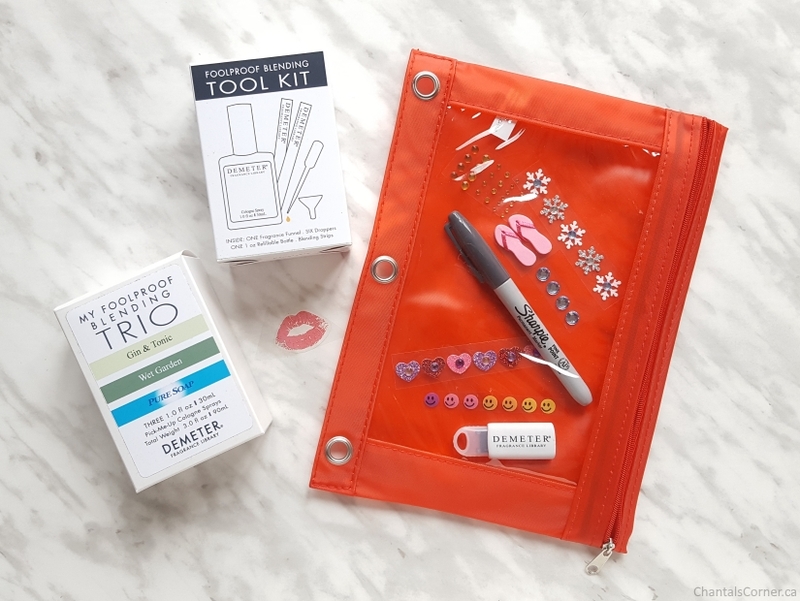 Just make sure to grab a Foolproof Blending Tool Kit ($6 USD) as well. Check out the other custom scents created by the CBB. What custom scent would you create?